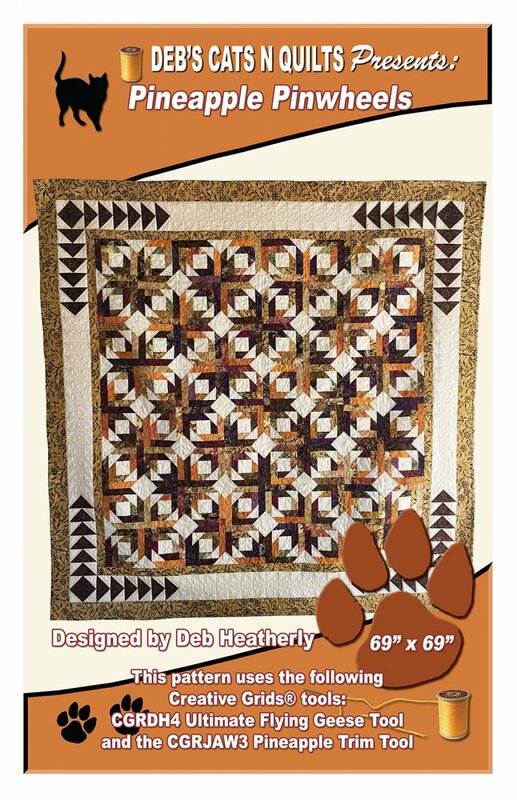 The Pineapple Pinwheels patterns has directions for a lap-sized quilt as well as a king-sized quilt. The pattern uses Creative Grids Tools: Ultimate Flying Geese Tool and Pineapple Trim Tool--using a new technique for the Pineapple Trim tool that creates a design variation that looks like pinwheels! Finished sizes: Lap--67" x 67"